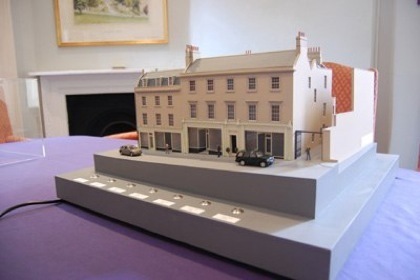 Models commissioned to sell ‘off plan’, and to show extent and location of apartments within a listed building development. Conversion of historic Post Office building, Broad Street, Bath. Individual apartments light up as required. 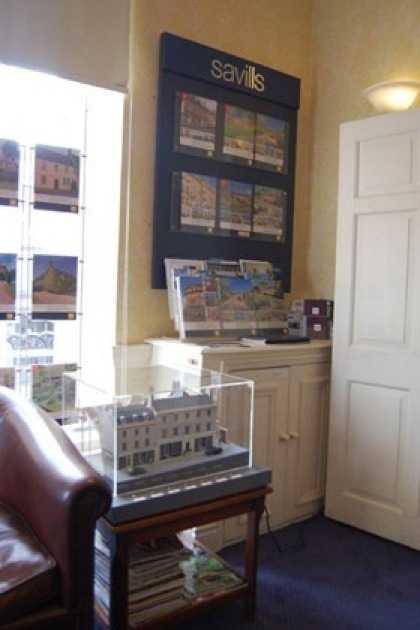 Photograph courtesy of Savills, Bath. Scale 1/100. 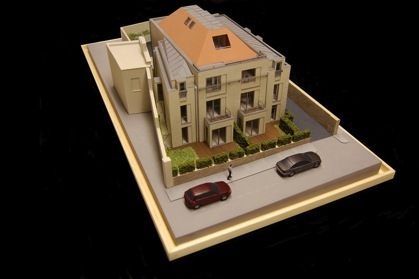 New luxury apartments, Clifton, Bristol. 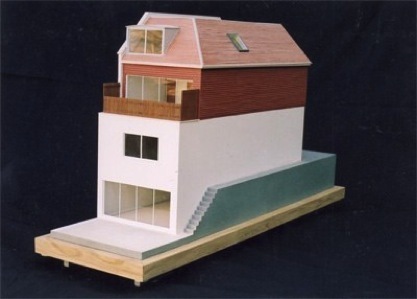 Sales Suite Model. 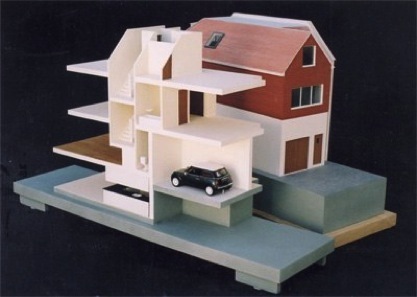 Elevations and roof are removed to reveal interior layout. Scale 1/25.